Forever a student: Learning a difficult language – Part 2. Learning a difficult language – Part 2. Learning a difficult language – Mandarin, Part 2. By Vladimir Skultety MA., BC. Mandarin pronunciation is difficult and important at the same time. Mandarin is a syllabic language. Every syllable is a morpheme, so simply put every syllable has a meaning (please see typology of Chinese for further info). But what makes Mandarin pronunciation so difficult and important? It is difficult, because almost every sound in Mandarin within the syllables is different from the sounds we have in our European languages so you have to learn how to pronounce and recognize a whole deal of new sounds. Some sounds differ only slightly, some I cannot get down until the present day. And why is pronunciation important? Because as I mentioned since every syllable in Mandarin is a bearer of information and words usually consist of only one or two syllables, even a slight change in sound that you might not notice as a beginner might make others not understand you. It is not the problem of not being able to get your point across, it is the problem of not being understood at all. If you mumble a word in a western language or mispronounce a great deal of it, because of the fact, that western language words are usually pretty long and not every syllable is a bearer of information, you have a very high chance of being understood, but since Mandarin words are so short, every sound counts. Another reason that makes Mandarin difficult throughout the entire learning process is, that there are almost absolutely no cognates in the language – words that you could relate to because you already know them from other languages. Most of the words in Mandarin are of Chinese origin. The Chinese language has a very long history so some words might only be 3 years old but some might be 3000 year old and the system of how these words from different time periods came to existence is slightly different too. It is also a subject to debate, whether the language of China in which the Analects of Confucius were written (roughly 500 BC) and say Tang dynasty Chinese share a continuous development, so it might be, that even words of purely Chinese origin are built up in a completely different way. The reason why I’m saying this is that there is no “safe” system which would help you guess the meanings of unknown words of Chinese origin based on the first 500 – 1000 words that you learned before. In other words knowing more and more words of purely Chinese origin will not automatically make it easier for you to recognize new words of Chinese origin as you go. When it comes to loanwords in Chinese, they come mostly from Japanese or transliterated Sanskrit which are again two very distant languages for a westerner and only recently (100 years) words from western languages have been entering into Chinese. The problem is that the way they are transliterated you will probably not know that it is actually a western word that you hear or see. In short, you have to learn almost every single Mandarin word by heart, simple or difficult, international or strictly Chinese. A lot of people say that Mandarin grammar is easy, or go as far as saying that Mandarin has no grammar at all. But this is not true of course. Right now I can think of maybe only five people – foreigners who speak almost grammar perfect Mandarin. It is by no means easy. It is easy from a westerner's point of view because there is no past tense in verbs and there are no cases in nouns, but Mandarin “grammar” is difficult in many other ways. Among other things, I have come to one conclusion: Every language has a system that can be scientifically summarized, mapped out and grouped into units based on similar features which we call grammar (ex. : Italian are, ire, ere verbs). Mandarin also has a system of rules of course – people would not understand each other otherwise - that can also be summarized and categorized but my conclusion is that in order to categorize everything to fit a westerners point of view, one will end up with so many categories and rules in Mandarin, that there are almost just as many Mandarin unique sentences in existence – it is almost as if every sentence had it’s own rule, so you might as well go ahead and learn these unique sentences by heart instead of learning the rules of grammar. Why should you learn a rule which only applies to one or two sentences? Even though I think this is the smallest problem but it is additional burden nonetheless. A thing that I don’t understand though is why a lot of people, including some respected scholars say that Chinese is a difficult language mainly because of Chinese characters. After graduating from the Chinese department, having studied Mandarin for 3 years constantly and almost reaching advanced fluency in it, I can honestly say that Chinese characters (reading/writing) are the smallest and I go as far as saying the easiest part of the entire language learning process. Chinese kids up to the age of 6 know maybe 10 characters but speak native Chinese. Illiterate Chinese speak native Chinese. Characters have nothing to do with this and only require time. There are a lot of them, that is true, but they are based on a relatively easy system so learning them is not that difficult and it only leaves you with a lot of time but no special skill required for you to learn them. If only had I known all of this earlier. When I was learning Mandarin and finally saw that I was making notable progress every day I stopped learning new characters altogether. I was concentrating on the sound purely and from that point I also never wrote anything down in pinyin. I was learning through conversations and by watching TV. What I forgot I forgot what I remembered I remembered. Then later when I was reading comic books or chatting online with my friends and I saw or had to type in a word I only knew the sound of, I saw the character and remembered the approximate shape of it almost the first time. This way it was a lot less stress in my opinion. Until now I do not know what I must've been thinking when I was learning hundreds and hundreds of characters which I didn’t know how to use or never or rarely used before. I am almost convinced that characters that you need, will keep popping up and you will not have to make any special effort in remembering them. I am also convinced that it is much better to first learn the sound of a word and then much later learn the character for it, because it is not very practical to know a character for a sound that you do not know how to use. When it comes to characters I also hear a lot of people argue that by writing the character by hand you have this amazing memory aid and that the character seems as if it were burned into your brain and that you can remember the words so much better this way. That is a big mistake in my opinion, because if you do that and you are learning Mandarin the traditional scientific way, at this point it is not only the difficult sound of the word, the tone (or usually 2 tones) that you have to remember, but also the character/characters, every constituent part, stroke order, and so on. 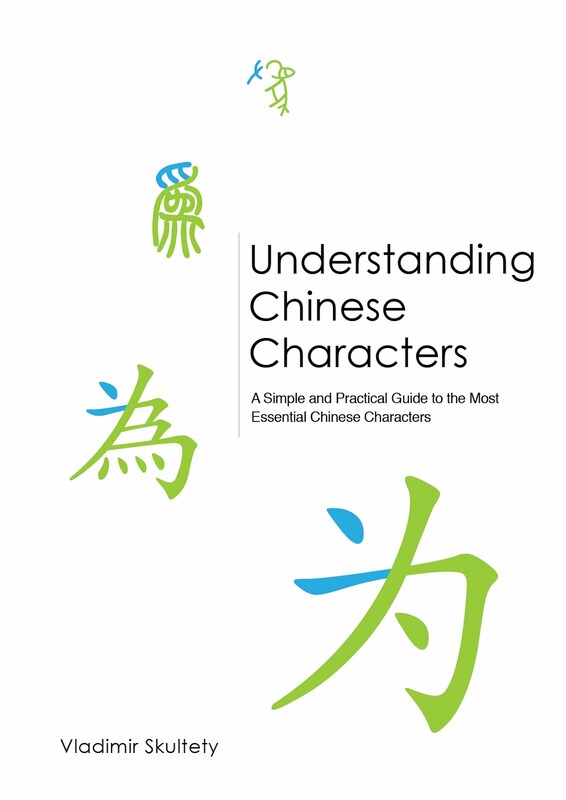 No wonder learning Mandarin takes so long…I say, forget about the characters and tones, but learn the system of how characters should be written, learn the 500 most common ones and wait for the rest to pop up and learn them as you go. When it comes to hand-writing characters I also think that in the end it is very easy and very useless for beginner and intermediate students. The only difficult part about handwriting is the time you need to learn how to handwrite the characters and the energy to remember them, which is only a terrible and unnecessary burden in the beginning and intermediate stages and handwriting characters will be much more fun to learn after you have learned how to read Mandarin fluently anyway. As I said before, knowing how to handwrite characters is a very fancy thing to do, but only learning the concept of handwriting and learning how to handwrite the basic 50-100 Characters is absolutely fine in the beginner/intermediate stages. After saying all of this it might seem that Mandarin is impossible to learn, but it is not true of course. As I said at the beginning the aim of this recording is not to discourage, but to describe and say what can and can’t be can’t be achieved while learning Mandarin. When it comes down to it, the biggest problem is that a whole different mindset and approach is needed. If Mandarin were really so difficult, Chinese little kids wouldn’t be able to learn it and this is not true. Millions and millions of kids in China, or foreign kids in China learn Mandarin effortlessly to native fluency. The problem is the system. I am very sorry I have been studying Mandarin the way I have. Even well into the learning process, as I was putting so much effort into my studies and I still wasn’t even conversationally fluent with the most basic of topics, stumbling up upon words, stuttering in sentences, not being able get my point across most of the time, being tired even after a 5 minute conversation and not understanding what people were saying most of the time, I didn’t take the time to reflect. I mean I did think about my Mandarin studies all the time. I was trying to come up with a better strategy but only within my westerner’s point of view and I didn’t think about the whole concept and didn’t think that maybe I was wrong and that the way we westerners learn Mandarin now is completely wrong as well. I think that because of learning Chinese I really understood what it means to learn a foreign language, because all the languages that I have learned before really seem like dialects of European to me now. While learning Mandarin I realized how much less I had to learn while learning German or Italian. Our culture, history, vocabulary are the same. They vary a little but compared to Mandarin, they are all the same. It is nicely reflected in the learning process. If you improvise and say something in Mandarin and even if maybe your pronunciation and vocabulary is good, people still give you a blank stare and don’t understand you. And the reason is that as I said in the beginning, Mandarin developed in a different time and space. Chinese just would never expect a sentence said like that in that particular moment or context. Of course it might happen to you once or twice while learning German, but definitely not several times in every discussion and it is something that is very delicate and something that requires a lot of time and thus makes Mandarin challenging time wise as well. If I look back at the time and effort that I have put into learning Mandarin, I probably could have learned..well I don’t know maybe 4-5 western languages to advanced fluency. Never believe anyone who says that he or she has learnt to speak Mandarin fluently in a couple of months. It is absolutely impossible. Also never believe anyone who says he or she has mastered Mandarin in a couple of years. I would also be very skeptical about anyone who would use the words to “Master Mandarin”. One would have to go through every possible life situation in Chinese to literally experience the unique sentences I was talking about in that short amount of time and it is just impossible. You are not only learning another language, you are learning a new way of conveying your thoughts into a new language. The way I see things now is that Mandarin should also be learned as naturally as possible, but the problem is, that if you were to learn it only in a natural way, it would take a very very long time so the catch is to develop a system in which one could preserve, enhance and expand the natural acquisition process of a language to its maximum potential and speed up the process as much as possible by introducing the necessary amount of suitable information at the right time. In the episodes to come, I will try to talk about how I would learn Mandarin if I had the chance to do so again and I’ll try to design a framework for learning Mandarin which will be based on the combination of the best one can get from natural acquisition, while speeding up the process as much as possible. 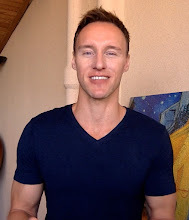 I will also try to work on a completely new approach for the development of good pronunciation based on listening and speaking only and develop a conversation basis consisting of the aforementioned unique sentence structures. In the optimal case these unique sentences should also consist of the most important and frequent sounds in Mandarin. This project is something that will require a lot of time and energy and it might as well happen that I will not be able to finish it, but I will do my best nevertheless. I also might have a very interesting guest participating in this small project, so I might have a big helping hand. Well, there you have it. This is it for today's recording. Thank you all for reading or listening so far and I hope to talk to you in the following episodes soon. Bye bye. Thank you so much for these! I'm currently learning Mandarin and this information is very insightful. I love languages and my goal is to become a translator and interpreter. Where I live in Australia I hear Mandarin all the time because there are a lot of Chinese students studying here. I'm glad you found the articles useful. I will try to post Part 3 this weekend. That would be great. I'm interested in how you actually learned Chinese. So far it's a bit vague. Eagerly awaiting your next installment. I'm very flattered to hear this kind of support. I have to admit, I was too lazy in the last couple of weeks, but I am working on something that I hope will be very helpful. I'm working on an excel file where I am trying to crack down the Mandarin syllables, trying to figure out which ones actually exist (and which tonal/syllable combinations are impossible) and out of the existing ones identify those that I actually use in everyday speech. I know there are pinyin charts that consist solely of possible syllable/tone combinations but from what I've seen, in these charts there are a lot of characters/words that people rarely use. What I want to do, is really crack down the language in terms of syllable/tone combinations and come up with a basis for pronunciation training for beginners that is based on absolutely useful living language at the same time. As I wrote in the articles, I think that we as students are very confused when it comes to Mandarin pronunciation among other things, because we expect much more combinations then there really are. I also hope to shift the students memorization process from visual to audio only, so that while learning a new word one will not have to write down it's pinyin only point to a sound of a word/syllable you already know how to pronounce correctly. These sounds that I would "point to" would all be in this "pronunciation basis" which in turn will be derived from the excel file I am working on right now. In the file, I am also trying to write down all the characters for the words I use in daily life. I hope this will be useful, since these characters are again based on living language and not artificial frequency charts. You are obviously a talented and enthusiastic polyglot which is why I was disappointed by these two articles. You make Chinese sound impossible and Chinese foreign language instruction sound counterproductive. You speak Chinese well; Luca Lampariello has learned it well without a teacher or going to a Chinese speaking country and Steve Kaufmann from Linq learned it in Cantonese speaking Hong Kong, mainly on his own. So it can be done. You've left us on a cliff-hanger. I am very much looking forward to your suggestions and ideas for learning Chinese more effectively. I would love to develop a perfect course or a method for this language that would really work, but unfortunately it is a task well beyond my possibilities. What I feel is, that ideally a similar course would deal with the problems that I have pointed out in the two articles in a way, that the students would not even notice them and yet overcome them, combine the best one can get from natural acquisition while speeding up the process as much as possible by introducing very well structured material just at the right time which would gradually get more and more complex without being boring or artificial. This is almost an impossible thing for me to do at this point. Right now, I can only try to give some pointers here and there on how to improve certain aspects of one’s Mandarin proficiency, or at least try to sum up what did and did not work for me, because I don’t trust myself to work on a bigger project alone. I could try to talk to those who became close to native in Mandarin, sit down with them and analyze what exactly made the difference over the years of studies for them and then develop a simple user-friendly course. Anyway, go and try it, if you haven't got one. If you've got one, wish you write an article talking about Chinese informal language.